An Interpol Purple Notice was issued for this vessel 11 June 2014. Sighted twice in May 2014 operating on the high seas of the North Pacific Ocean. 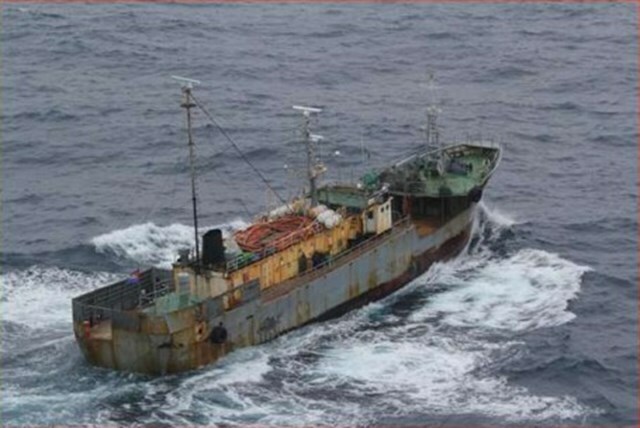 At first sighting the vessel was working closely with another suspected IUU vessel close to the Russian EEZ. At time of initial sighting the vessel displayed the name SUNGARI and a Sierra Leone flag but during questioning the crew changed the nameboard to STELLAR and hoisted a Cambodia flag. Previously registered as PHOENIX and detained in May 2011 by Russian authorities with illegally harvested crab on board. The vessel has several characteristics associated with illegal transhipment activity. Last known to have called in port at Busan, Korea in June 2014.